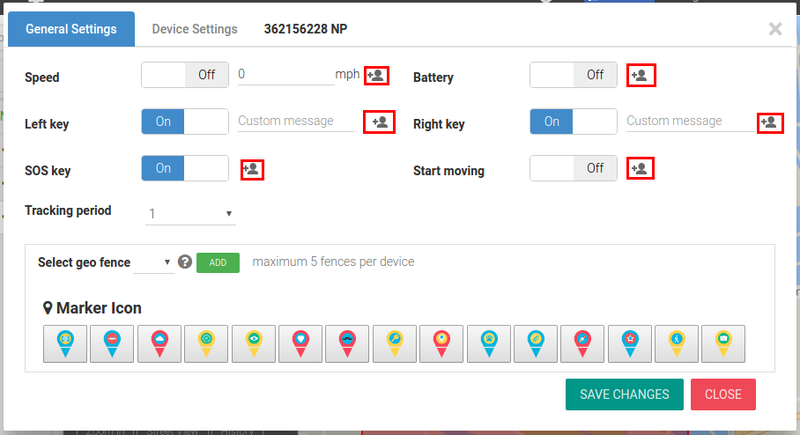 Clicking on the device alarms will open a settings menu on top of the screen. 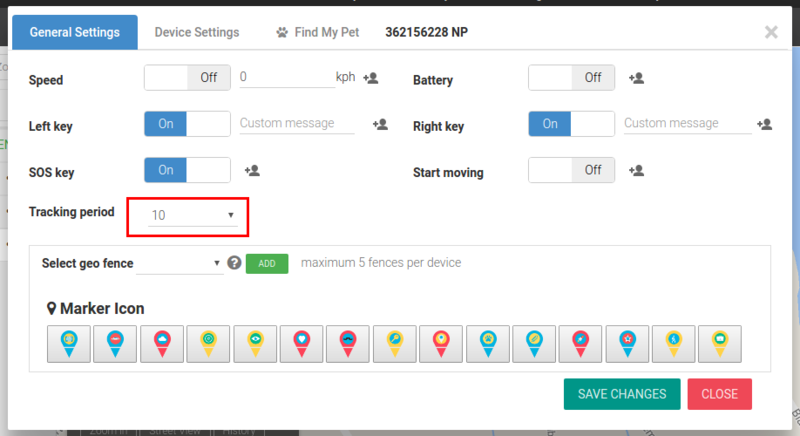 This will allow you to set the device’s specific settings and alarm notifications. 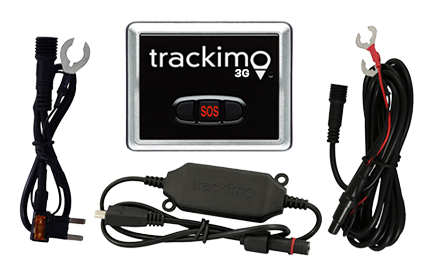 Alarms are sent to your configured email and to the Trackimo dashboard. The notification alarms will include the device’s location and speed at the time the alarm is triggered. Speed Limit A notification is sent when the speed limit is crossed. Low Battery A notification is sent when the battery level reaches 20%. Moving Start A notification is sent when the device starts to move. Right Key Pressed A notification is sent when the right key is pressed on the device. Left Key Pressed A notification is sent when the left key is pressed on the device. SOS Key Pressed A notification is sent when the SOS key is pressed on the device. Device Beep Sound This turns the beeping options of the device on or off. 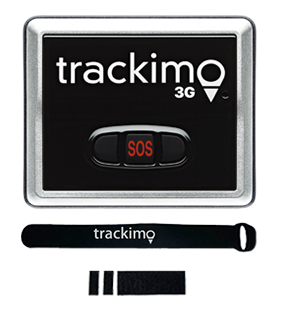 When “off” the device will operate in “silent mode” and no beeps will be heard upon turning on, pressing the SOS and left/right button etc. 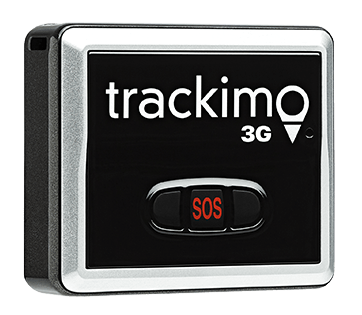 The Trackimo service allows you to send alarms you may receive to other contacts through their email address or as an SMS alarm to their cell phone. This can be done by clicking on the “Add contacts for this alarm” link next to each alarm. When this is done a dialog will appear as shown in the image below. Contacts that are checked on the right side will receive the alarm. You may remove a contact by clicking on the “Remove from contacts list” link.